Home / Essays. / Honours 3rd Year / John Donne / Poetry / John Donne's use of conceits. John Donne's use of conceits. The conceit is basically a simile or a comparison between two far-fetched things. In a conceit, the dissimilarity between the two things compared, is so great that the reader is always fully conscious of it, evei while he agrees to the likeness, implied by the poet. According to Dr. Johnson, in a conceit, the most heterogeneous ideas are “yoked by violance together”. This kind of comparison is highly exaggerated, fantastic and far-fetched, and it gives raise to an image. John Donne, always witty and the terms wit and conceit bring applied to him, have created a history of their own through the successive generations. The use of wit and conceit gave him some kind of supremacy among poets as learning and humours gave Ben Jonson among the Elizabethan dramatists. 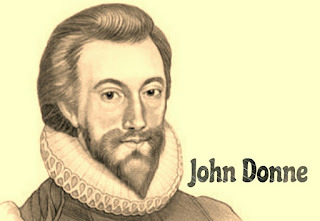 Generally, Donne is considered to be the innovator of conceits, but, in fact, the Elizabethan poets and dramatists already used conceits in their writing. 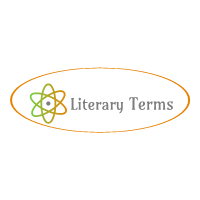 Shakespeare used conceits in abundance. But an Elizabethan conceit differs from a metaphysical conceit in several respects. A Metaphysical conceit, for one thing, is learned but an Elizabethan is not. In drawing a conceit, Donne makes ample use of his learning- his knowledge of scholastic philosophy, medieval astrology, contemporary art and science etc. These conceits are often far-fetched and recondite. The most fundamental difference between a Metaphysical conceit and on Elizabethan one is that the former is an organic part of the poem, while the latter is a mere decorative or ornament of the poem. The metaphysical conceits startle and amuse the readers. They are a part of the poet's technique of communication, amplification and persuasion. Donne makes use of highly intellectual conceits in his poems to illustrate feelings and , in this way, he achieves unification of sensibility. A conceit of Donne is his instrument of argument and persuasion. We are to remember that use of conceit and wit forms a major part of Donne's poetic style, and conceit, in fact, displys a formidable wit. So do the various allusion and images relating to practically all the areas of nature, art and learning. In a conceit, as displayed earlier, we are made to agree the likeness even while being strongly conscious of the unlikeness. Donne often employs fantastic comparisons. The most famous and striking one is the comparisons of a man who travels and his beloved who stays, to a pire of compasses in “A Valediction: Forbidding Mourning”. The soul of the beloved, the poet says, is like the fixed foot of the compass as she stays at home. The poet's soul is like the other foot of the compass which moves , so yo say, in a circle. The fixed foot leans towards the moving foot, and afterwards, the moving foot rejoins the fixed foot. The rejoining of the encircling foot suggests the return of the poet to his beloved and their union. To conclude, the metaphysical conceits of Donne arouse from the intellectual process of thinking in figures of speech. These conceits were opposed to Elizabethan traditions, because he practiced the cult of the eccentric and showed mental gymnastics or jugglery of thought. Because of these , his conceits are extremely perverse and tortuous, uncommon and far-fetched. In spite of all these, Donne is an original poet in using metaphysical conceits .